Thomas Hammer (b. 1985) is NYC based painter known for his ink works on paper and acrylic paintings on canvas. 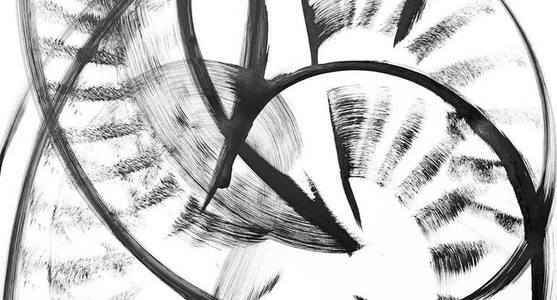 His ink works are inspired by the spontaneity and vim of post-war action painting, but employ a unique vocabulary of mark making. 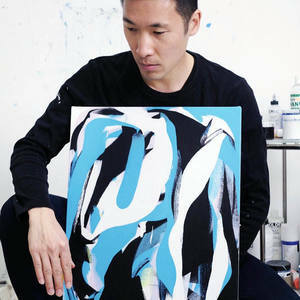 He creates a sense of depth through variety of textures that vary between smooth and flowing and staccato and rhythmic. The intent is to harness, rather than let loose, energy. Thomas’ acrylic paintings are built in layers. The first few accrue with gestural flourish and become more deliberate as the composition emerges. Each layer interacts with the one before it, obscuring some of the canvas beneath it while adding texture, color, and complexity to the painting. The end result is an artifact of the process but it is also a constructed reality, akin to a carefully composed photograph that flattens three dimensional space to a single plane. Hammer’s works have been published in Architectural Digest, CoEval Magazine, and Lines Magazine. He recently exhibited at the inaugural edition of X Contemporary during Miami Art Week 2015 at Art Basel Miami Beach. In 2016 he participated in a group show at the Zhou B Arts Center with Parenthesis Art Space, at the Palm Springs Art Fair with Artspace Warehouse, and most recently at Art Southampton with Saatchi Art.